Conveniently located in historic downtown Albany near the Riverfront. Located in the historic downtown district of Saratoga Springs, and centrally located near many attractions. 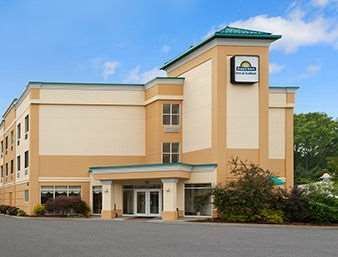 Located within minutes of Albany International Airport. Located just three miles from the Albany International Airport and SUNY Albany. New York’s capital city is a unique destination that blends modern with the historic. You’ll find plenty of sightseeing and architectural beauty at the Empire State Plaza, the Schuyler, New York State Education building, State Street, and Van Ostrande-Radliff House. Outdoor lovers will find plenty to keep them busy with skiing, hiking, canoeing, and fishing. Whether your passion is nature or history, you’ll find both in Albany. Book your Albany vacation package with Southwest Vacations® today.